I’ve been blogging for a decade here all about technology, the web, marketing and more. Something I’ve never done until now is a movie review. There’s a first time for everything, right? 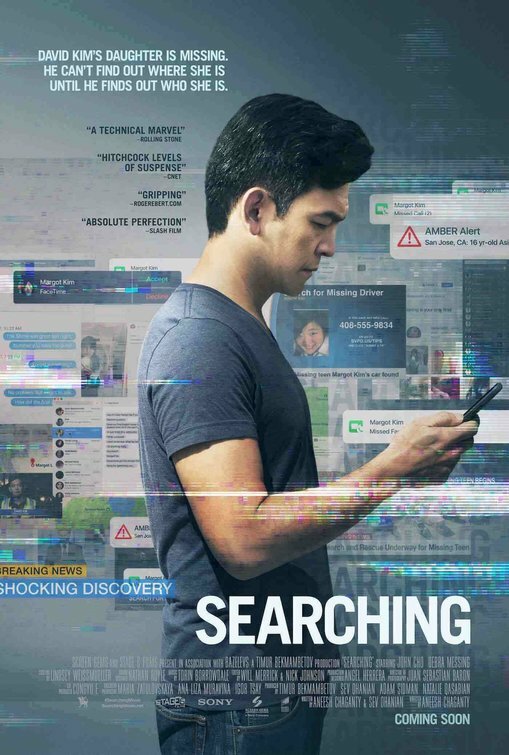 Let’s talk about the movie Searching. Movies have been trying to show characters using technology to varying success for ever. On one hand, you have films like the Matrix Reloaded. It showed a character using real tools like Nmap exploits to hack a network. On the other, there’s terrible portrayals. Look at films like Swordfish or Hackers, which are just laughable in their use of technology. What if you’re technology savvy and you see bad use of technology? In my case, I disconnect from the story. Searching was not one of those films. Searching gets the technology right. From going through the correct steps to reset a password, to tracking online payments. From live streaming and vlogging. The technology here is correct. Because of that, I was engaged from the get go. It’s more than technology. A good movie needs a good story to resonate and capture the viewer. As a parent, the thought of losing a child is my worst fear. This fact brings a ton of tension to the story. After the film, I really thought about what I would do if I was in this parent’s shoes and I could not find my child. John Cho stars as the father looking for his daughter, and it was interesting to watch him fumble at times with the tech, or be unsure of how some sites work. It was much like I think I’d react if I had to open my son’s phone and try to find what apps he connected with people on and what they do. Again, reality is a key here. The film is worth seeing in a theater. If it has already left your local multiplex, check it on when it comes to digital and streaming in a few months. Next Next post: Is your server running TLS 1.3?